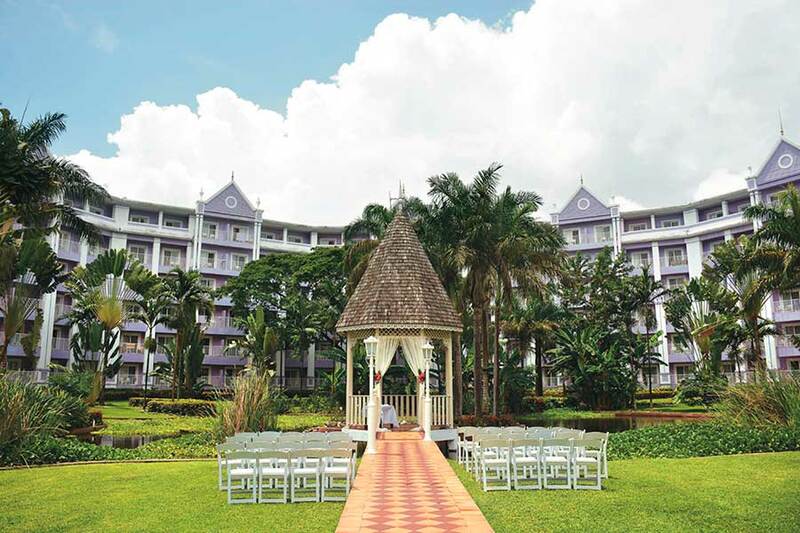 An RIU Ocho Rios resort wedding places you and your loved ones in the beautiful Mammee Bay, surrounded by Caribbean waters, tropical rainforests, and spectacular waterfalls. 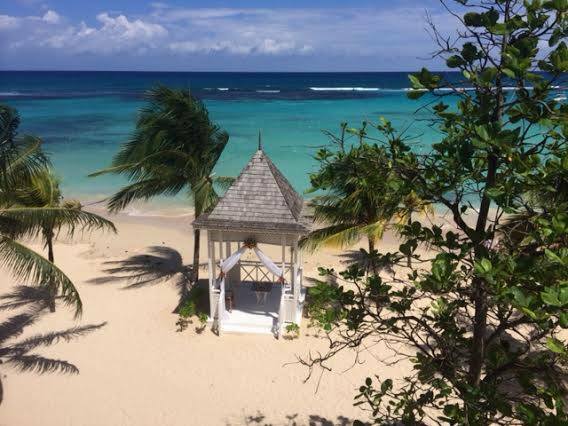 Your wedding ceremony can be set upon the white sandy Jamaican beaches as the ocean breeze rolls in. The huge resort often feels like its own living and breathing city, with vibrant colors splashed across the Victorian-like buildings and an endless amount of activities on offer, including numerous pools and an authentic jerk chicken shack. 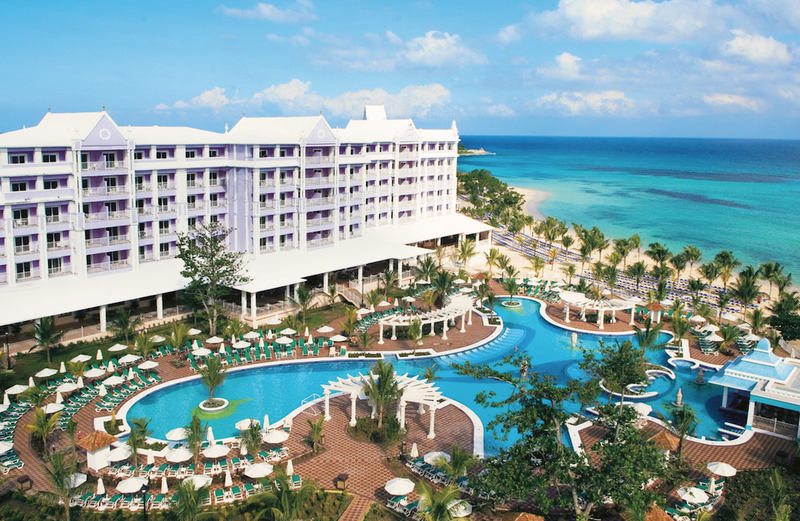 Hotel RIU Ocho Rios will be closed for exciting new renovations from April 29 – September 20, 2019. Upon reopening guests can expect a new re-design and a contemporary look. For wedding guests that want to explore outside of the resort during your destination wedding, nearby excursions include Dunn’s River Falls, Dolphin Cove, and Jamaican bobsledding. The remote location offers seclusion stunning views for wedding ceremonies. For adults looking to escape families and younger wedding guests, the Deluxe Wing features adult-centric fare, including an adults-only pool. Guests who book Junior Suites get access to additional restaurants and bars. Free package welcomes up to 10 guests including the couple and allows more at an additional cost. The free package is subject to mandatory payment of documentation, administrative fees, ​and ​taxes​​ which are pre-established by local government; this payment will be made at the reception of the RIU Hotel. Upgraded packages, additional guests, and add-ons are available for an additional cost. $150 – $180 average price per person per night. Rooms include private balcony or terrace, and daily restocked minibar, and 24-hour room service. Children 2 and younger stay free. There are 846 rooms with resort and ocean views. Due to the size of the resort, it is recommended for more active guests. 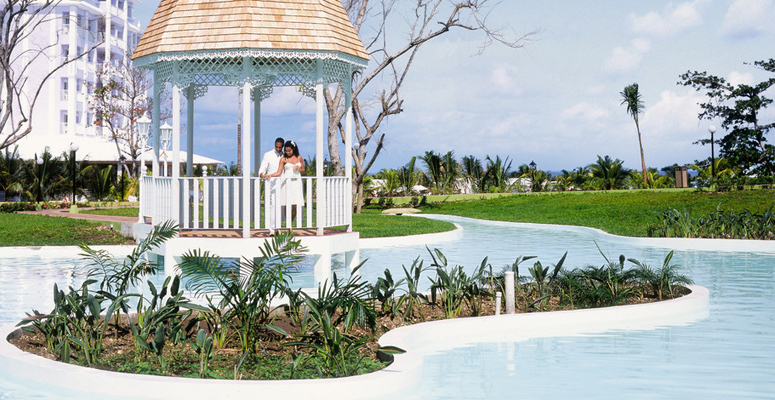 RIU Ocho Rios is able to hold up to 3 weddings per day at 12pm, 2pm, and 4pm. These are the only times judges and ministers are able to perform daily. The resort is located 65 miles from the MBJ airport. A: I have been a coordinator for nearly 7 years. 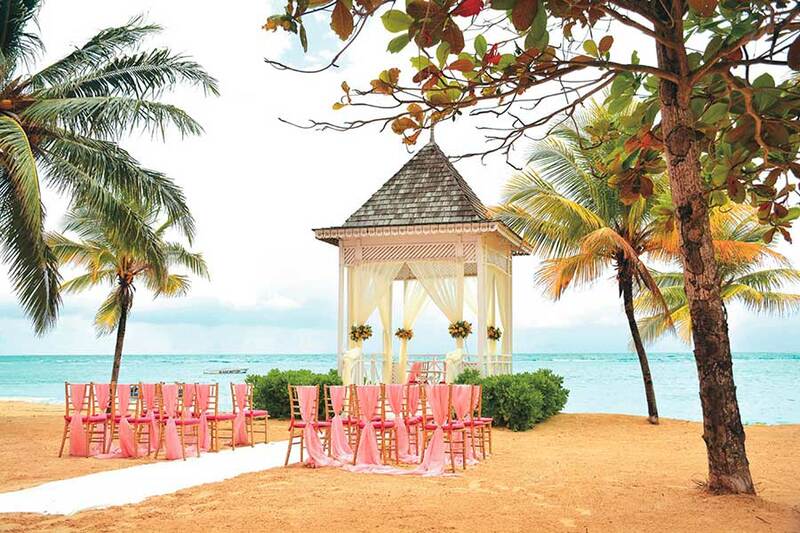 I have coordinated over 2000 weddings at the RIU Ocho Rios. A: We have two beautiful ceremony locations and five different locations for private dinner receptions. With over 800 rooms to accommodate all of their guests. Our staff is friendly and professional and we go the extra mile to make our guests happy. Additionally, we are very close to many attractions and tour excursions. 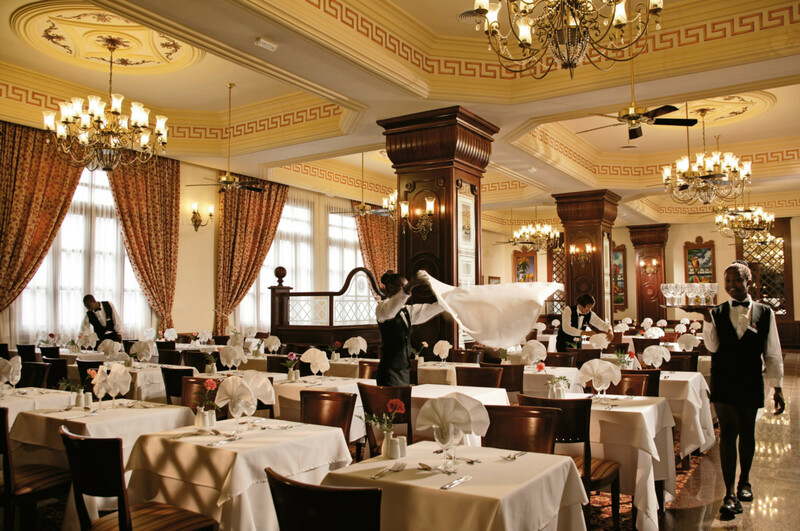 A: The friendly staff, great food, and the entertainment. A: Some brides ask for a later wedding time which we can’t do, or wait until the last minute to book their rooms. 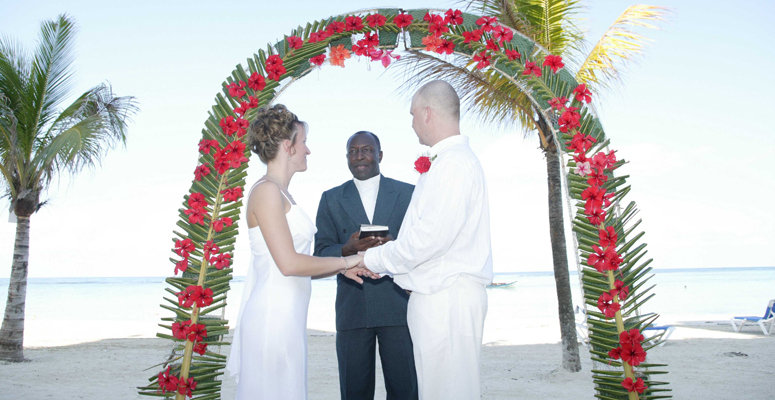 A: My favorite part about a destination wedding is getting to know the couple and confirming all the details. Putting it all together and when everything is over and everyone is happy. I love to see the happy ending. “Service is excellent. The staff appear to enjoy working there as they’re always smiling. Quick to clear tables during meals. Place is spotless. My mother had trouble unlocking their room with their key, and the next morning a locksmith came to fix it.Did some excursions such as Snorkel, cruise, tubing and cliff jumping. At the resort, they offer a lot of free activities : stand up paddle board, kayak, and paddle boat.